When it comes to supplements for gallbladder health, vitamin C is one of the most frequently mentioned in research studies. It may be beneficial for limiting your risk for gallbladder disease, gallstones and cancer of the gallbladder. You shouldn't take large doses of vitamin C without first consulting your doctor, however, because it isn't safe for everyone. Gallstones are a very common gastrointestinal complaint in Western populations, with about 80 percent of stones containing cholesterol, according to a review article published in Alternative Medicine Review in 2009. 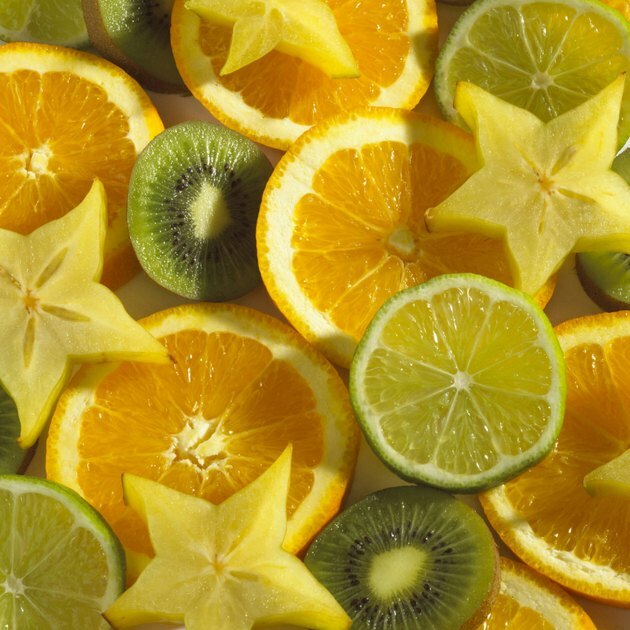 An increase in vitamin C intake may help reduce the risk of gallstones, as can a diet higher in calcium and fiber and lower in fat and refined carbohydrates, noted a review article published in the Nigerian Journal of Surgery in 2013. Vitamin C helps increase the breakdown of cholesterol, limiting the risk that it will build up and contribute to the formation of gallstones, reported a study published in BMC Gastroenterology in 2009. The University of Maryland Medical Center notes that the antioxidant and immune support functions of vitamin C may be beneficial for people with gallbladder disease. Other beneficial dietary changes include avoiding alcohol and trans fats, eating more fiber and antioxidant-rich foods, limiting your intake of red meat and eating more foods rich in iron and B vitamins. You should also avoid highly processed foods, such as sugar, white pasta and white bread. In a study published in the European Journal of Cancer Prevention in September 2013, researchers found that consuming more vitamin C was helpful for preventing gallbladder cancer. Not all studies have noted the same beneficial effect, however. A study published in the Journal of Surgical Oncology in September 2003 found that vitamin C didn't have a significant effect on gallbladder cancer risk, but it did find a potential association between low levels of vitamin E, selenium and zinc with gallbladder cancer. Women should consume at least 75 milligrams of vitamin C per day, and men need at least 90 milligrams daily. If you smoke, add another 35 milligrams per day to your vitamin C requirements. You can easily meet these needs by eating at least five servings of fruits and vegetables each day, according to the Office of Dietary Supplements. Particularly good sources of vitamin C include citrus fruits, bell peppers, kiwifruit, broccoli, strawberries, tomato, cauliflower, cantaloupe, cabbage and brussels sprouts. If you're considering vitamin C supplements, check with your doctor to determine the appropriate amount of vitamin C for you. Too much vitamin C can cause nausea, diarrhea and abdominal cramps and may increase your risk for kidney problems. Vitamin C can also interact with certain statins and chemotherapy medications.